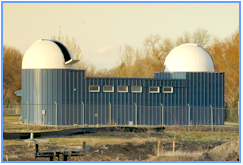 Public Star Night at the Little Thompson Observatory, 850 Spartan Ave at Berthoud High School (park east of the high school; directions are posted on the website, www.starkids.org). The guest speaker is Robert Ayala, a librarian at the Loveland Public Library, and the title of his presentation is “Astronomica Symphonica”. Join Robert Ayala and the Little Thompson Observatory for Astronomica Symphonica, a multi-media event showcasing powerful music inspired by the exciting world of astronomy. Robert and LTO volunteers will discuss not only the associations between music and planets, black holes, stars, and constellations, they will discuss the correlations between physical and mathematical properties of celestial forces and musical forces such as time, space, pattern, frequency, amplitude, vibration and more. Selections by Richard Strauss, Gustav Holst, Rush, John Adams, Philip Glass, Jerry Goldsmith, and Monty Python will be accompanied by vivid video images prepared by LTO volunteer John Hiatt. Robert Ayala is an Adult Services Librarian at the Loveland Public Library. Originally from south Texas, Robert has worked professionally in the book and fine arts world and -since 2009- in public libraries. He moved to northern Colorado in 2014 with his wife and two boys after acting as library director for the Converse Public Library for three years. He has a Bachelor and Master’s degree in music composition -Trinity University and The Ohio State University- and a Master’s degree in library and information science from the University of North Texas. His primary areas of library work are producing cultural and artistic events, developing community partnerships, and growing 21st century libraries. He is a part-time composer for select projects and loves to cook, ski, cycle, and fish. 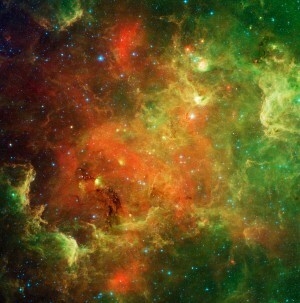 He has always had an interest in astronomy and the wonder it inspires. The doors will open at 7:00pm and the presentation will start at 7:30pm. Weather permitting after the presentation (around 8:30 PM), visitors will be invited to observe various celestial objects through the 6” Astro-Physics Refractor, 18” Tinsley and 24” Cole Reflector telescopes. Site contents copyright © 2019 Recorder Online	except as noted. All rights reserved. | 88 queries in 2.534 seconds.